Bio: A career in higher education has given me the opportunity to inspire, and be inspired by, an incredible number of students and alumni. 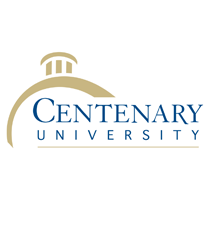 If you are looking for talented interns or employees, or interested in connecting with Centenary University to volunteer your expertise to our undergraduates and graduates through networking, a LinkedIn connection, on campus program, or Career Fair representation, let’s connect. Bio: Rachel Danitz is an Americorps member serving as the NJCC Changebuilders program coordinator for Centenary University. She is a 2018 graduate of Centenary’s business program, and became interested in service work after participating in Centenary’s 2018 Soles4Souls shoe distribution. Before joining Americorps, Rachel was an intern with Soles4Souls NJ. She wants to use her experience and passion for serving to inspire youth towards volunteerism, creating pathways between Centenary and the local community that will result sustainability for all. When she is not working or volunteering, Rachel is an avid equestrian, runner, and backpacker. Bio: I love being a professor! My interest in the Middle East began in high school when I spent a month living in a Palestinian village in Israel. I have returned to Israel/Palestine three times, including living in Jerusalem for nearly a year while I conducted dissertation research. I have also spent time in Syria. My first book, Arab Christians in British Mandate Palestine, focuses on the relationship between Palestinian Christians and the nationalist movement during a time of dramatic change in the political and social make-up of Palestine. I have now shifted gears and having begun research on an environmental history of the Persian/Arabian Gulf.